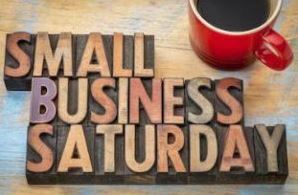 Saturday, November 24, 2018 is a day dedicated to supporting small businesses across the country. By shopping at small businesses, the mom-and-pop stores that are staples in our community, you are doing your part to help them thrive. In 2010, American Express launched the first Small Business Saturday, encouraging shoppers nationwide to support local commerce. Since then, billions of dollars are spent on this Saturday at small and local businesses by tens of millions of people. We encourage you to do the same! Don’t do all your shopping at big retailers today, plan to spend some time shopping local. For every $100 spent at local merchants, $68 stays within the community, according to IndependentWeStand.org. Small Business Saturday is one of the biggest day of sales for the 23 million small businesses in the U.S. who represent about 54 percent of all U.S . retail sales, according to the Small Business Administration (SBA). Spending money locally helps boost small businesses, which helps them create jobs, which in turn powers the economy and revitalizes our community. Shop small, spread the word and know that you’re doing your part by giving back to the community you live in! It’s a win win for all. Wishing you all happy small business shopping day!